The following is a synopsis of a talk given by Trevor Swan to the Society on the Clay family – about how they succeeded as local farmers and beyond and also some famous people with whom they became associated along the way such as Robert Burns, Alexander Graham Bell and the Sundance Kid. The speaker recounted how the Clay family had an inordinate fondness for the name John showing an abbreviated family tree with 4 Johns in lineal descent. For the purpose of the talk he would refer to the first as 'Old John Clay' his son John Clay the 2nd. and finally his son John Clay the 3rd or the youngest. Scotland for Old John Clay was the Tweed Valley, extending from the Lammermoor Hills in the North to the Cheviots in the South. His father was a prosperous grain merchant in Berwick on Tweed. The Clay family had been around the Border town for several generations and had farmed in the Ayton area for a short time. It is recorded that Old John Clay’s father and the poet Robert Burns, were acquaintances and that at Eyemouth in May 1787 at a meeting held in the Masonic Hall there were appointed Royal Arch Masons. Robert Burns from the lodge of Tarbolton Ayrshire, his friend Robert Ainslie of Duns, James Carmichael, William Grieve, Daniel Dow, and John Clay. They all agreed to pay one guinea admission dues but on account of Burns’ "remarkable poetical genius" the Gathering unanimously agreed to admit him free gratis, and considered themselves to be honoured by having a man of such shining ability for one of their companions. The Clay family held alease on Dykegatehead which was on the River Blackadder. Col. George Houston-Boswall was the landlord. 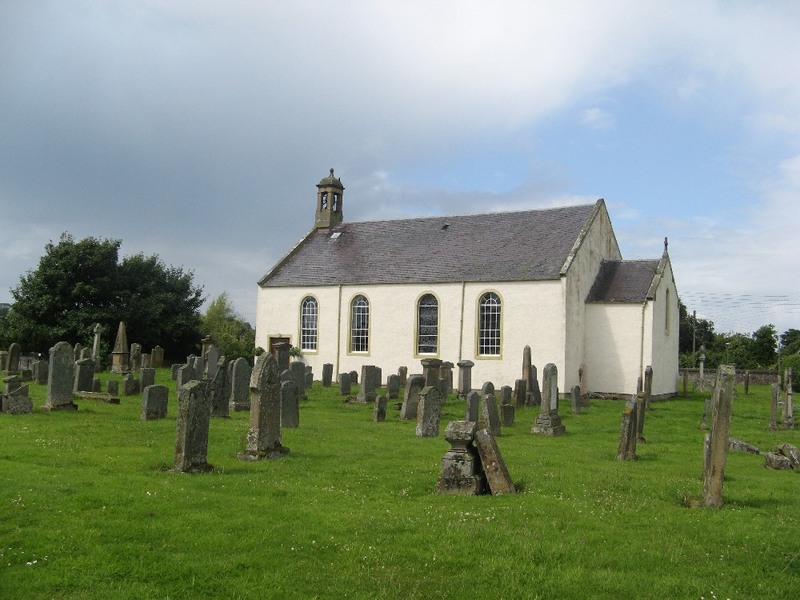 Old John Clay married Ann Wilson in October 1822 at Ladykirk Church She was an orphan who was brought up by her uncle, a Mr. Young, who was a tenant of Ladykirk farm not far from Dykegatehead. They had a large family, several of whom died in infancy, and a son Charles who succmbed to consumption just on reaching manhood. Those who survived were Ann, who emigrated to Australia, Johanna, Agnes, Sarah, and of course John. Old John’s father had made a considerable fortune in wheat. He bought in the autumn and winter, stored it in granaries, dried it by turning it over weekly as it lay in bulk, and then shipping it to all parts of the country by sea. In 1832 the First Reform Bill was passed. This extended the voting rights to Farmers and Businessmen. The second great historical event of that year was the application of steam to the locomotive. In the words of Old John Clay himself “The great juggernaut crushed all in its path, not Caesar, Attila or Napoleon had such an influence as Stephenson". This revolutionary method of transport brought misery to many. It was sad to watch the carters who had been involved in the transportation of goods over Soutra hill and many other destinations just disappear with the age of steam. He saw the beginning of the Victorian era and lived beyond it. His life began with the stagecoach and ended with the electric car. Young John having completed his education in Edinburgh then came home and entered the office at the National Bank of Scotland in Kelso then guided by the Tait Family. We still have the Tait Hall in Kelso as a reminder of that prominent Kelso family. After some years he went to work on the farm under the guidance of Tom Mabon, the farm steward. He got a grand education from Tom clearing the nearby Hadden Rig, liming, draining and fencing the area. 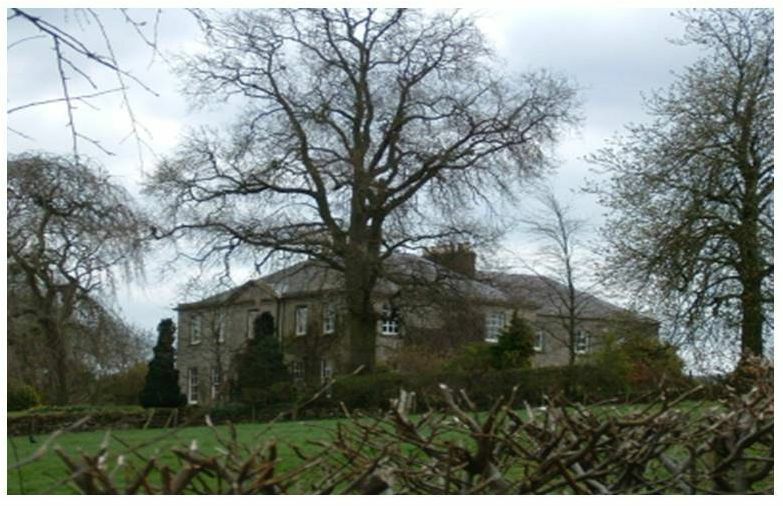 On the death of William Clay, John the 2nd’s uncle, the family inherited the lease on Winfield farm. He had been in the place for a number of years with Richard Trotter of Chartehall as a splendid landlord. This was how Winfield came into the Clay farming enterprise. Old John Clay decided it would be a grand challenge for his eldest son. So in the whirlrig of time John Clay the 2nd. was instructed to take over the farm at the early age of 24. With boundless energy, a grand training, but a very thin bank account he began his business career. Having a farm of his own he began to think of matrimony and on February 26th. 1850 he was married to Patricia Thompson at Eyemouth. This was a great turning point in his life.In this marriage two kindred families, famous in Border farming, were united. It seems tragic that of two great families farming some of the best farm land in the area, there is no trace now. It is an old adage often repeated that one generation makes the money, the second holds it, and the third spends it. Or is it the shifting sands of modern life? As far as the Clays and the Thomson’s are concerned the farming fire has gone out. Back to the Clays with young John farming Winfield and his father farming Kerschesters things were very tight. In the 1850s farming was going through a bad time. The Napoleonic wars were over so cheap food was coming from the continent. Wedderlie had been run down for a number of years the sod walls had collapsed and it was in need of a great deal of investment.Thousands of cart loads of stones were taken from the land and made into dykes, the land was broken and lime applied. After this work was carried out the rent became very manageable. The family lived at Wedderlie in the summer and Winfield in the winter. Those were happy times for young John and his family. The babbling Blackadder was a constant joy as it was full of trout in those days and a basket of over 60 to 80 was not uncommon. John always thought of Wedderlie with a warm heart. In 1863 Old John Clay from Kerschesters turned over to his son the hill farm of Lanton Lees and Blackrig. They were both bare bleak places stretching from Kyle’s Hill to the Hardens Hill near Duns. As well as the Clays there were other good and successful farmers in the area such as, James Calder at Swinton Hill, Robert Calder at Kelloe, Adam Calder at Blanerne, John Allan at Billie Mains, the Elliot’s of Lamberton, Abraham Logan at Hassendean and Wilson of Edington Mains who was not only a good farmer but wrote successfully for a number of agricultural journals.All the men were very prosperous farmers and met every Saturday at the Corn exchange in Berwick. Old John Clay’s father was gone but his younger son Patrick ran the Grain Company. Old John Clay, tenant at Kerschesters died in 1866 and his son John the 2 nd. took over the lease at Whitsunday 1867 so he was then farming Winfield, Wedderlie, Blackrig and Lanton Lees in Berwickshire along with Kerschesters in Roxburghshire. A few years later he also took on Plenderleith in the Cheviot Hills. All in all he was paying in excess of £5,000 in rent – a huge amount for the time. It was said that Plenderleith rent was all but paid for bar £5.00 with the returns from the clipped wool. What price is wool these days? John the 2nd. moved over to Kerschesters to the farm house from where he managed all the farms. It was said he would ride round all the farms in one day. No mean achievement as it was over 40 miles. Like all the shepherds in those days he was paid in kind. He had a house, a garden, a cow and a follower kept, and with about sixty head of sheep running among the master’s. Strange but true none of Watt’s sheep ever died. Day in day out he had sixty head. Both grandfather and Father Clay winked at this long life and the remarkable health of the shepherds flock. But grudge him they did not. The shepherd was always held in very high esteem. Bondagers, female workers and Irish labourers provided much of the labour on the farms. The Irish labourers came over in the spring and stayed till after harvest. John Clay would never go to the market to hire these men, he always sent someone else to do it. He thought it very subordinate to hire desperate men for as little as possible. Perhaps he was too much of a gentleman. There are no records so far as I have found to say John Clay was an ardent Politician till the election of 1859 when there was a bitter contest between David Roberson of Ladykirk who was the Whig/Liberal Candidate and Sir John Majoribanks of the Lees,Coldstream the Tory candidate. Sir John was actually a nephew of the Robertsons. David Roberson would ride over to Winfield and then he and the John Clay the 2nd would go canvassing all day. Robertson was passed middle age but a family man in the Liberal cause. Every trick was used but as the Tories had the great territorial houses on their side as well as a great number of the larger farmers, the Liberals had a big job before them. It was a conflicting issue as John Clay’s Landlord was Trotter and Majoribanks was Trotters son in law. But being the man he was, he stood with the Liberals and they were successful. He was asked to stand under the Liberal ticket in 1880 fighting the Northumberland seat against Earl Percy Conservative and Sir Matthew Ridley who was also Conservative. John Clay the 2nd. was a rather poor third. It was the only time he stood, but he was always very supportive of the Liberal cause. It was after he stood for Parliament that he was asked to be a commissioner on the British Agricultural Board and he had many meetings with ministers regarding farming matters. He was the only tenant farmer on the board. He was the instigator of the extremely important Tenant’s Holdings Act. Where previously the tenant had no rights whatsoever on any improvements he made to the farm, after the new act came in, compensation was paid for these improvements. John Clay did have one confrontation with his Landlord. Trotter of Chaterhall died and the estate was split up into three farms which were left to the second son-the famous Jock Trotter, Master of the Meath Foxhounds. The farms were New Horndean, Fishwick Mains and Winfield. Hunting hounds whilst depending on a Berwickshire estate did not harmonize and after some years Trotter went bankrupt and the farms were put up for sale. James Black from Grindon and Chiswick purchased them. He was the same Black who had been a blacksmith at Ford Forge. He also went into the manufacturing of spades and had a factory at Spittal Berwick. To cut a very long story short when John Clay the 2nd. took over Winfield from his uncle it had 35 acres of grass. When he was about to come out of the farm there was over 100 acres of valuable pasture so John Clay made inquiries as to what compensation he would get. The answer from Black was none so Clay gave instructions to get the ploughs out. This incensed Black so he took out an injunction to stop Clay. Black lost but then took it all the way to the House of Lords and still Clay won. So after a long delay Clay put all that wonderful grass under the plough. It cost Clay over £300.00 but it was the bench mark for all tenant farmers when leaving a farm in the future. So he made an important contribution in these matters. In the latter years John Clay the 2nd. spent many days at the hounds both with the Buccleuch and the North Northumberland. Hare coursing was another of his interests. He had a large family of eight in total including a son John. One of his daughters married a lawyer and brewer in Jedburgh who went bankrupt. They were all well educated. Another daughter Johanna who never married did great service in the nursing profession both in South Africa during the Boer War and the First World War. She received an O.B.E. for services to nursing. 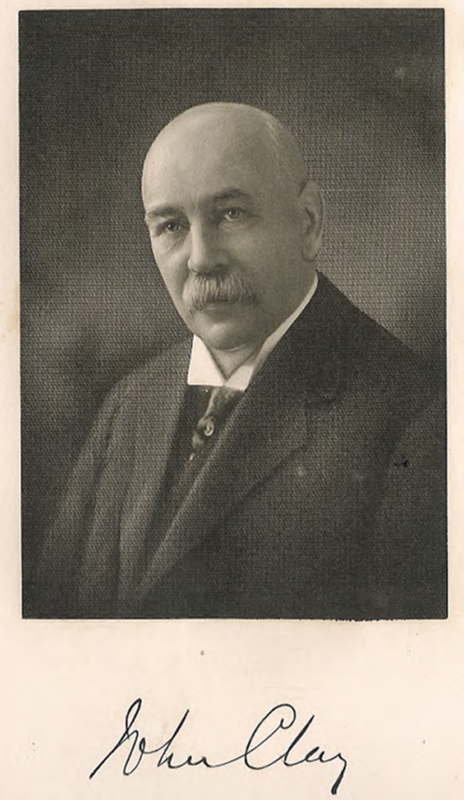 Another of his sons, Charles Clay was a partner in the Quaker Oats Company. His third and youngest son was Alexander Thomson Clay who was a partner in Pringle & Clay,Solicitors in Edinburgh. In his 72nd. year he found Kerschesters too strenuous and so he left after fifty seven years of his father's and his own tenancy. He still had Wedderlie and Plenderleith but he gave Plenderlieth up very shortly after. So with a very healthy bank balance he went to live in Edinburgh where he took up golf, playing North Berwick and liked nothing better than a day at Goswick meeting up with old cronies. He was also very fond of travelling and visited the United States on a number of occasions. He was always granted first class travel free gratis by the railway company. He visited Ireland but was not fond of Europe. So ended his active farming days, for his tenancy of Wedderlie was in the later years more of a pleasure than a burden, The farm was the apple of his eye. His other places were always treated as a commercial enterprise; but the Lammermuir farm-child of his early days, the spot where he spent his happiest hours, was to him what Abbotsford was to Sir Walter Scott. He was in poor health. In spring 1903 he made a trip to Pawston to the hounds. His enjoyment was immense but he went back from there never to leave his home again. The most regular caller was his old friend James Swan of John Swan and Son, Auctioneers who called every Sunday afternoon. The Clays had dealt with the Swans for over 60 years. His final instruction was to take his last remains and the mourners out to Sprouston by special train and there he lies. He left a wife 4 daughters and 3 sons. His wife lived in Edinburgh for another 4 years. If that is not a worthwhile life what heachieved would be hard to beat but there was one who could and did do better. 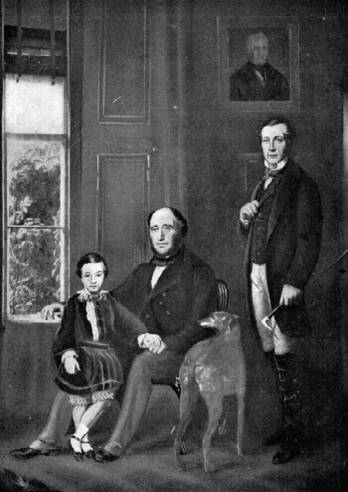 Below a picture of his son John Clay the 3rd. in later life but then known as young John or junior. He was probably the most famous of the Clays, born at Wedderlie, in 1851. As a boy in 1858 he would walk the mile and half from Wedderlie farmhouse to the parish school in the village of Westruther. The school was presided over by James Wilson, a grizzled grey haired dominie who was not impressed with young Clay’s abilities and after three or four months declared to the father that "the callant has a woeful want o' brains and when he grows up, you’ll just need to put him to the pleugh so he can make a living"
After he left Westruther he went to Whitsome where his father and other ancestors had also attended. Under the guidance of John Turnbull, his performance improved. He was only 8 when he was first permitted to join the hunt. It stayed in his blood for the rest of his long life. After Whitsome, young Clay went to Wellfield Boarding School in Duns. After four years he was sent Abbey Park in St Andrews where the master was a very stern disciplinarian and believed in the rod; nevertheless the hour long Saturday exercise in mental arithmetic gave Clay his facility and speed in mathematics, which became one of his valued talents in later life. His formal education ended with a winter at Edinburgh University. His father then got him a position with a corn merchant in Leith which he held for nine months. In 1867 he returned to the farm where he spent the next few years. In 1874 John Clay 3rd. was 23 and was determined to see some of the world and since he did not have the money for a trip round the world he spent three months in the United States and Canada. It was on this trip that he fell in love with the wide open spaces and the wonderful clean air. Champagne air he called it. While on this trip he was introduced by one of his mother’s friends to Mr. George Brown who was editor of the Toronto Globe and was also a politician.In 1850, Brown helped found the Anti-Slavery Society of Canada. This society was founded to end the practice of slavery in North America. Brown invited Clay out to see his show case farm Bow Park. Clay was very impressed. Here Brown raised Shorthorns among them the celebrated bull the fourth Duke of Clarence. Little did Clay realise that in a few years time he would be back at Bow Park in a supervisory roll. Early in 1876 George Brown visited the U.K. to promote his plan to turn Bow Park into a vast breeding ground for Shorthorns, Clydesdale horses and Border Leicester sheep. Brown was looking for £500,000 in capital given as shares. So the Canada West Farm Stock Association Ltd was formed. Menzies from Edinburgh was the Chairman and the main financier. But the richest member of the group was Thomas Nelson, Brown's brother in law. The Clays invested £10,000 - a considerable fund. After two and a half years it became apparent that things were not too well so Young John Clay was instructed to go out and bring back a report. He found the company was near its end financially because the demand for quality stock had not materialized. Young John at this time was made a sub Commissioner to the British Agricultural Board and he was given the remit to report on the grain that was flooding Europe. He made both reports and after he delivered them in Edinburgh was given instruction to go back to Bow Park to try and resolve the situation. Back at the ranch there was considerable bitterness among Browns old farm hands. So much so that in December that year two disastrous fires broke out late at night. The men got the cattle out but the buildings were burned to the ground. When the next week another building was burned out, it became very suspicious. When Brown heard of the second fire he wept like a child and never went back to his beloved Bow Park as he died the following spring. He had been in poor health, never fully recovering from being shot by a reporter he had sacked a year earlier. Clay was by now committed to the United States and he was starting the business of trading cattle and managing farming enterprises all over the States and Canada for Scottish investors. In 1881 he married Euphemia Forrest from Aberdeen, daughter of John Forrest who had come over to Canada and made a considerable fortune in the milling business. Clay and his new wife settled in taking with them Rose McDavid the Scottish house keeper he had inherited from Bow Park. 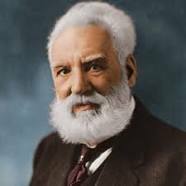 It was while he was there that he became friendly with Alexander Graham Bell of the telephone fame. They would share many a dinner on St Andrews night. He only remained there for a few months before moving to Chicago where the headquarters of his livestock business were centred. In 1882 Clay was called back to London to testify before Parliament on agricultural issues and wrote a supplementary report which gave further information on the grain production. His own career was then in the midst of change.The Scots had given John Clay Jnr. the opportunity to test his management skills and from this time forward he would be drawn south and west. In 1884 James T Craig, aged 20 came from Wedderlie to one of Clays ranches the 71st. Quarter Circle looking for work. He was given the job of building fences and odd jobs round the place. The situation on the ranch was tense because the big cattle outfits had decided to cut costs; not only were wages being cut but the free boarding custom was abandoned.The cowboys went on strike. Clay, Jnr. and James Craig rode out to the range and sacked the lot.It was the first time John Clay had carried a shotgun for his own defence. After that little episode Jimmy was never far from his side. and served Clay for many years going on to be president of one of his banks and on the board of many of Clay’s cattle organisations. John Clay, Jnr was one of the first to take cattle over the Black Hills of Dakota. This was Native American Sioux territory, the location of the famous General Custer’s last stand ten years earlier. No fences here just mile upon mile of wonderful grass. What happened to Sundance was not as depicted in the film. He and Butch Cassidy didn’t run out into a square to be killed by an onslaught of bullets. 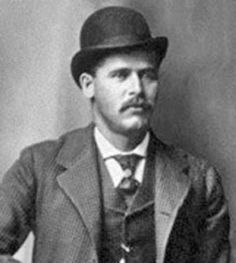 Rather than be caught or killed by others, Butch shot Sundance then put a bullet through his own head. The centrepiece of John Clay the 3rd or Jnr. 's business life was his commission firm that most of the cattle bought and sold in Chicago went through. Almost every sheep, hog and beef cattle went through his books on a commission basis. He had almost a monopoly. One ranch he was always proud of was Chugwater. It had the famous Bull, Clarence Kirklevington which won countless agricultural shows in,Canada and the States. In about 1907 he had reached the point where he could go forward to the future without the Scottish investors. His main opposition at this stage was The Swan Cattle Company who were very big in cattle management but it fell on hard times through over paying the directors and was on the verge of bankruptcy. John Clay was put in charge and he became chairman at the next A.G.M. It later became the Swan and Clay Cattle Company the largest cattle organisation in Chicago. He was elected as the Sixth president of the Wyoming Stock Growers Association and he held that post for six years. At this time rustling was a big problem and he was accused of organizing a raid on some known rustlers where nearly all of them were shot, but at the time of the raid he was back home in his beloved Borderland. Even so he was accused for many years of being the instigator. It did however put a stop to the whole scale rustling that was going on. It was at this time that he was coming home to the Borders every winter to ride with the North Northumberland hunt. 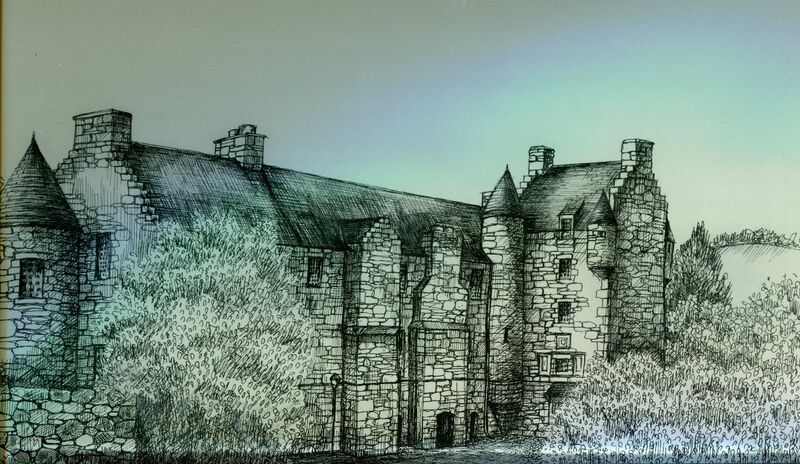 He was master for a number of years and when he came over he took the house of Sunnilaws at Roxburgh, now the hotel. He even brought over his own horse from the United States which was aptly named Chicago. It became known by the Hunting fraternity as the Great Chicago. He gave the Immortal Memory at Coldstream Burns Club on one of these trips home. To list the achievements of John Clay the 3rd. in the world of stock and finance would be a very considerable task but to give a flavour he was Chairman of over twenty banks and held land in many counties. If he had a default through one of his banks he just kept the land. He built up a large portfolio of land in many parts of Canada and the U. S.
In 1899 Clay took a lease on a mansion Finisterre which John Lewis built at the Eastern point across from the lighthouse at Cape Ann Massachusetts. After two of years he bought the property and there he would preside over dinner in his pink hunting coat. He still had a Scottish house keeper and got his Scotch whisky sent over in bulk. He had four hogsheads of malt sent over every year to Finisterre. Clay often said he would sell the magnificent house but a fire in 1926 destroyed 25% of the building and 10% of the contents. After his death the house became the Eastern Point Yacht Club. John Clay the 3rd. had only one son, named unsurprisingly John and he was a considerable trial to his father never taking over the mantle his father had created. Euphemia Forrest, Clay’s wife died in 1923 and in 1926 when he remarried Stella Rintoul his family ranks were thinning. His sister had died in the same year back home.Of the two brothers who survived him Charles, lived in a shack behind the Clay house. When he died he left notes of debts totalling $9,000 to his brother. John Clay Jnr.’s other brother was a successful lawyer in Edinburgh. Following a heart attack at the age of 80 he wrote to the Swan and Clay Company saying that he had decided to take a trip to the Old Country. It was not to be on St Patrick’s Day 1934 John Clay the 3rd. expired.In the obituaries, both the Chicago Daily Tribune and the New York Times referred to Clay as the "Dean of American stockmen". The list of Banks he controlled at one time or other adds up to two dozen,and the commission firm he headed was perhaps the largest in the country. All of this held together by the private lending operations of John Clay & Co. with over $2 million in capital. William Muirhead one of John Clay’s nephews’s came over and was employed in the Stock Growers Bank in Cheyenne He ended up a very prosperous banker.At the present time the Chairman of the National Bank of America, a bank John Clay, Jnr. started over 100 years ago, is one of his great nephews. John Clay’s Portrait still hangs in the famous gallery of the Saddle and Sirloin Club Chicago, where lasting homage is paid to those made immortal by their leadership in the advancement of the livestock industry. Perhaps even more significant. in 1961 he was installed to the National Cowboy Hall of Fame, Western Heritage Centre, Oklahoma City. He also sent over to Kelso a sum of £525 for a bed in Kelso Hospital.